WELLINGTON, FL—Nov. 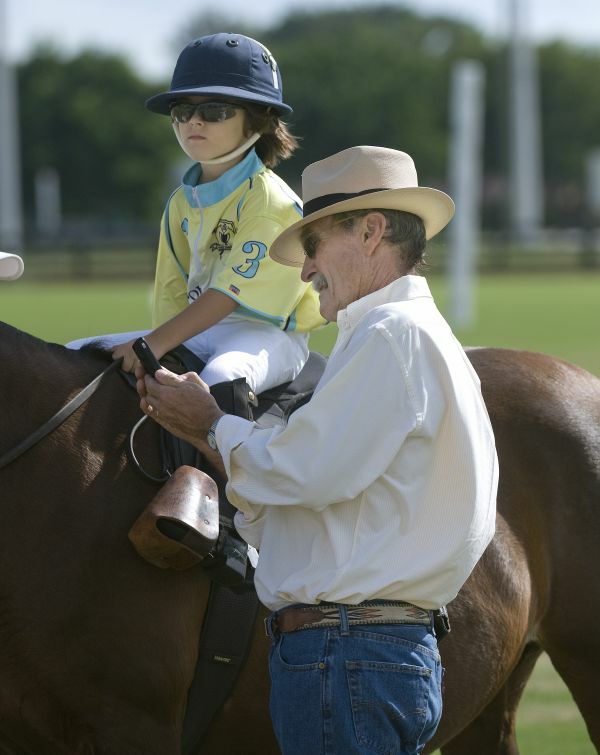 25, 2013—-The future of polo is in good hands if Sunday’s Turkey Trot Juniors Tournament at Grand Champions Polo Club is any indication. The eight-year-old club held its final juniors tournament of the 2013 season for players of all ages and skill level. 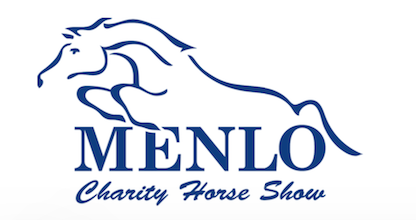 The tournament, hosted by the Polo School at Grand Champions, featured a Turkey Run Round-Robin, Turkey More Than Trot, Walk Alone and Pro Leadline. 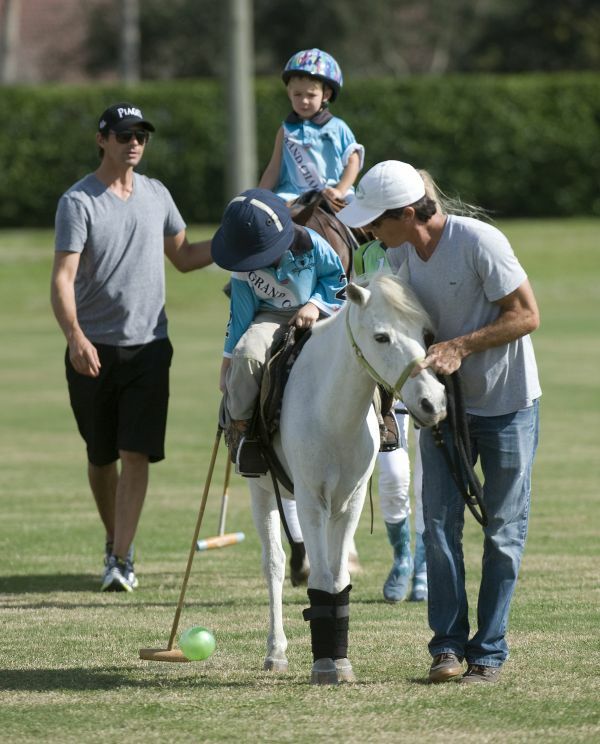 The three-hour event attracted three generations of polo players including British polo great and former 9-goaler Julian Hipwood watching his 6-year-old grandson Finn Secunda score four goals in the Walk Alone and American 7-goaler Jeff Hall introducing his 3-year-old son Luke to the game in the Pro Leadline. Three chukkers of play pitting three teams were held in the Turkey Run Round-Robin on a regulation-size field. Grand Champions: An all-girls team featuring Chase Schwartz, Riley Ganzi, Jacqui Casey and Rachel Kelly. 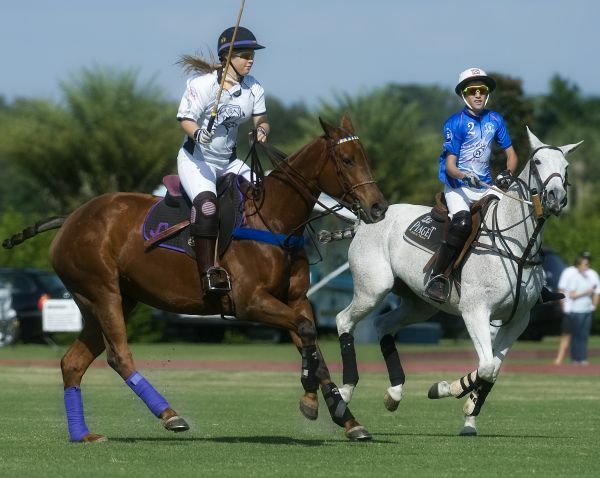 Polo School Blue: Maria Celis, Matt Cohen, Ignacio Loianno, Richard Gollel. 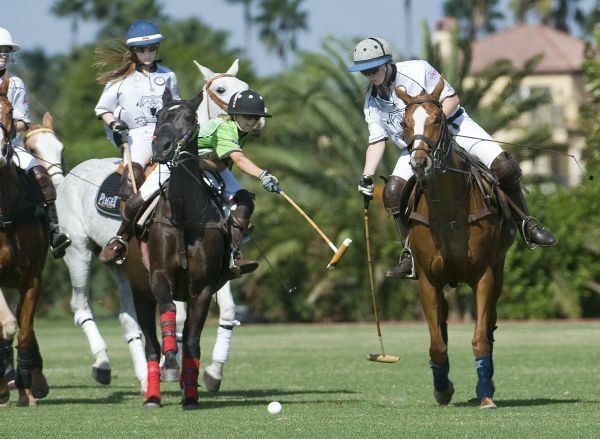 Polo School Green: Alyssa Tranchilla, Cipi Echezaretta, Grant Braden, Juanse Olivera. 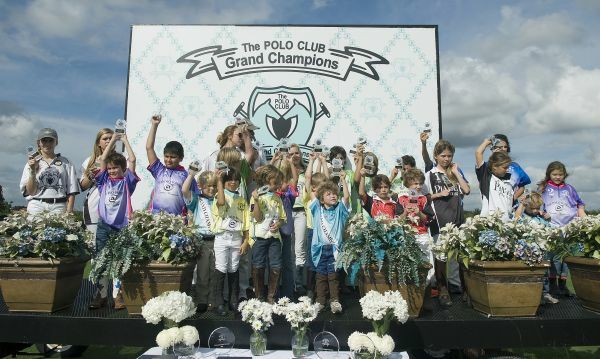 Grand Champions defeated Polo School Blue, 3-1, in the opening chukker behind two goals by Kelly and one by Schwartz. 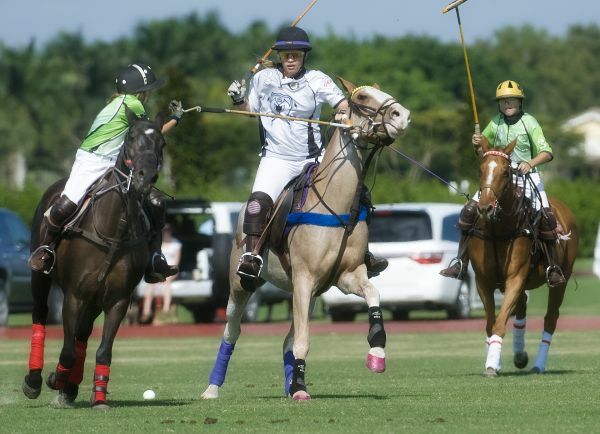 In the second chukker, Grand Champions and Polo School Green tied, 1-1, with Olivera and Schwartz each scoring a goal. 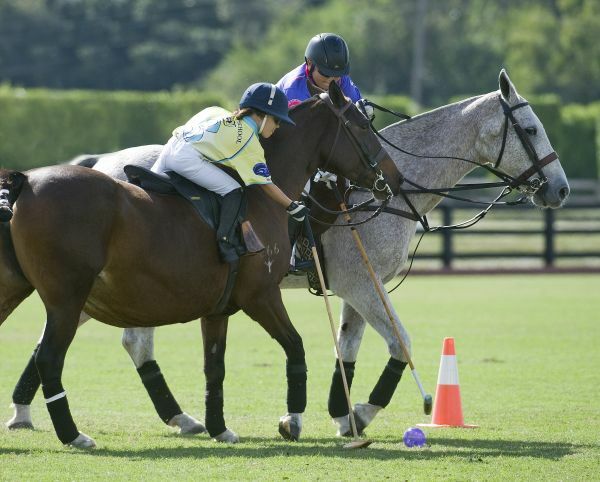 In the third chukker, Polo School Blue defeated Polo School Green, 2-1 with Gollel scoring the winning goal. 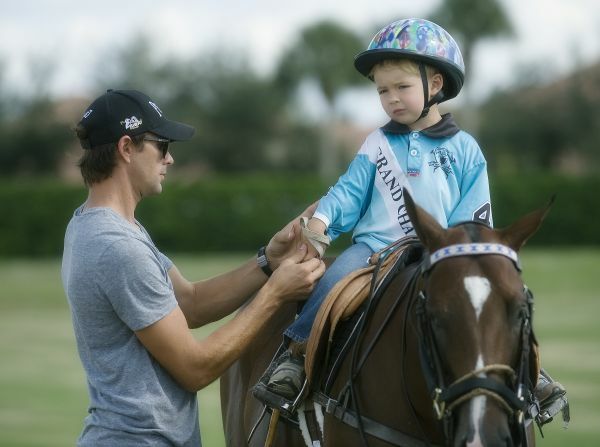 “I have been playing polo for about four years and riding since I was 3,” said Kelly, who travelled with her family from Vero Beach and coach Max Secunda, who introduced her to polo. 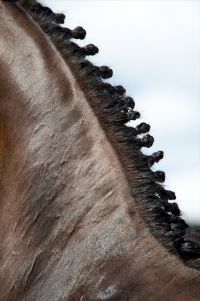 “I love this sport with the big horses. I love the adrenaline and just getting to play. 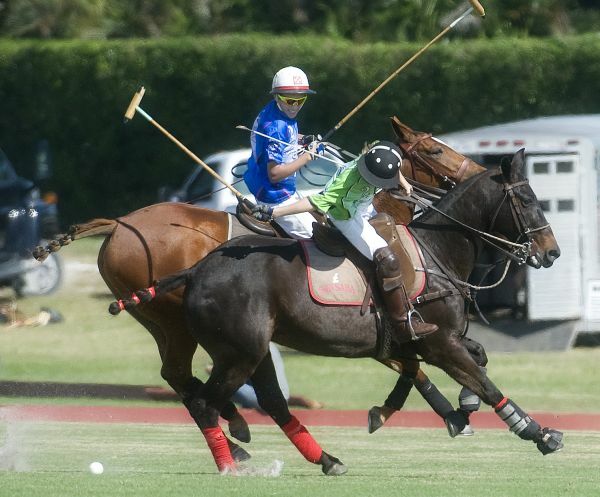 Juanse Olivera, son of Juan Olivera, polo manager at PB Polo, has been playing less than two years and is already showing tremendous potential. Audi: Javier Celis, Joseph Schwartz, Bryce Gardiner. 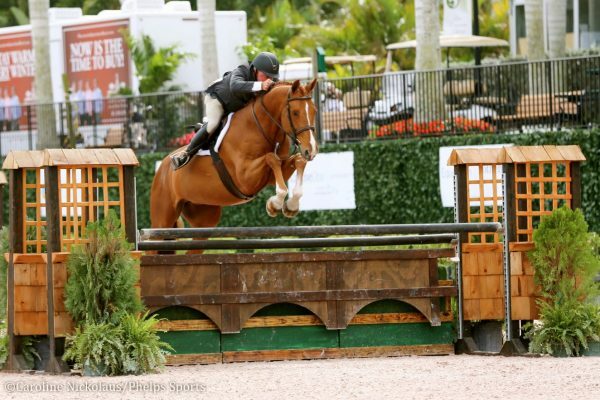 Piaget: Elizabeth Fenner, Zoey Echezaretta, Will Jacobs. Polo School Yellow: Solon Tamplin, Lorenzo Ramirez, Finn Secunda. Polo School Purple: Able Tamplin, Nikko Ramirez, Avalon Nottingham, Luci Ramirez. 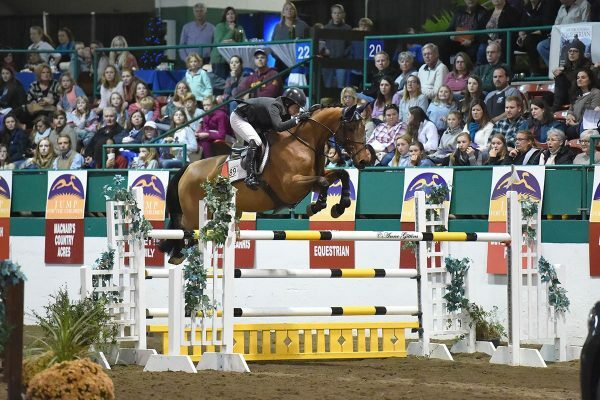 The final event of the day was the Pro Leadline with Lion and Sebastian Mandelbaum walking with their father and player Leo Mandelbaum; Luke Hall, Emmett Tamplin, Janie Barnett and Weston Mead. 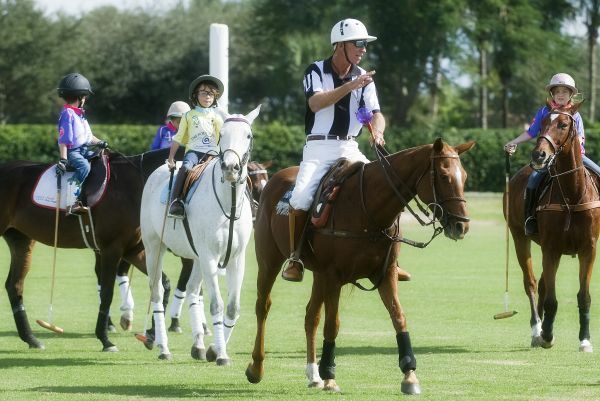 “This is where it all starts,” said entertaining announcer Dale Schwetz, a full-time USPA umpire and polo player. 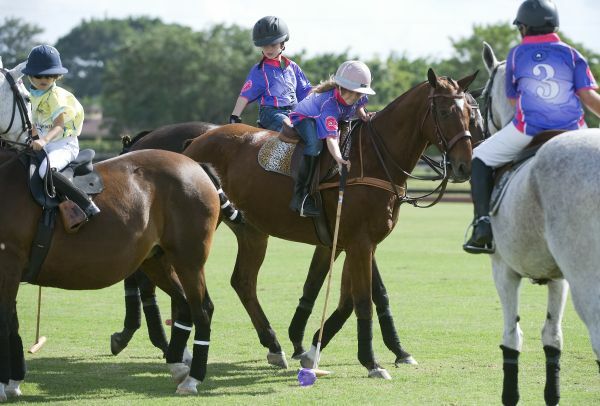 The junior tournaments are not only attracting sons and daughters of polo players but beginning to see more boys and girls coming out for the sport with no history of polo in their family. 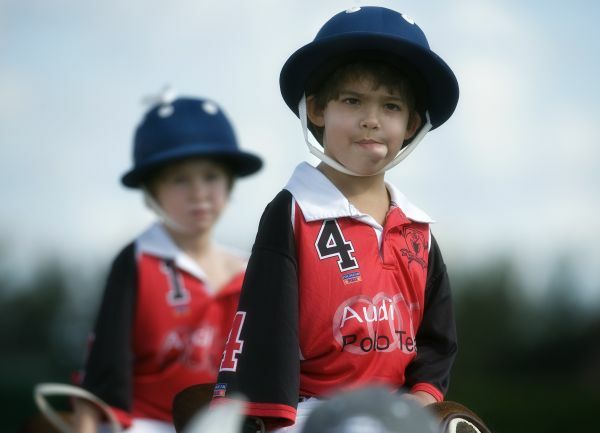 Nine-year-old Bryce Gardiner of Wellington has been playing polo for two years. His mother, Shauna Gardiner, is thrilled watching her son play. 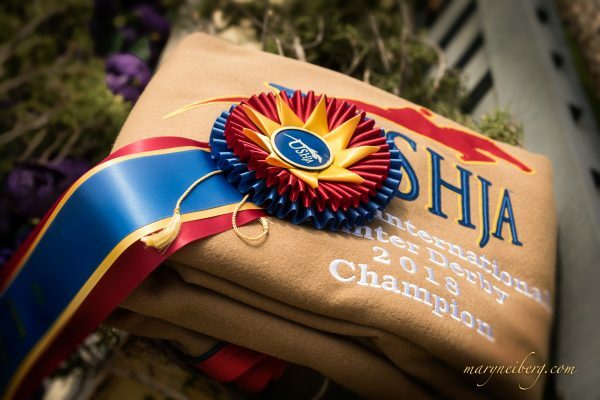 “The memories I am building with my son through this sport is everything, it’s been an amazing bonding thing,” Shauna Gardiner said. “I really appreciate what Melissa is trying to do, she is truly amazing for what she does. I always wanted to tell her how much I appreciate it. Tournament director Robin Sanchez would like to see the consistency of monthly junior tournaments continue. 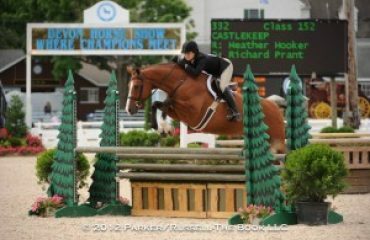 The PTF is hosting the next juniors event in late December. “Skills are learned well in game-type situations,” Sanchez said. “That’s how you learn tactical skills. You can learn tactics stick-and-balling and doing lessons all day long but it’s a game where you learn tactical skills. “These kids are at a level that they are starting to learn how the game works. The game-type situation helps so much in their progression and plus they get to be with their friends, have a good time and spend an afternoon outside in the fresh air doing good stuff. 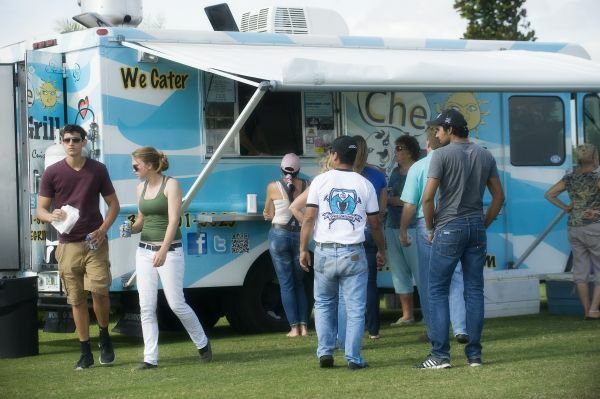 Grand Champions provided Miami-based food truck CheGrill serving Argentine food and refreshments for players, coaches, parents and spectators throughout the afternoon. 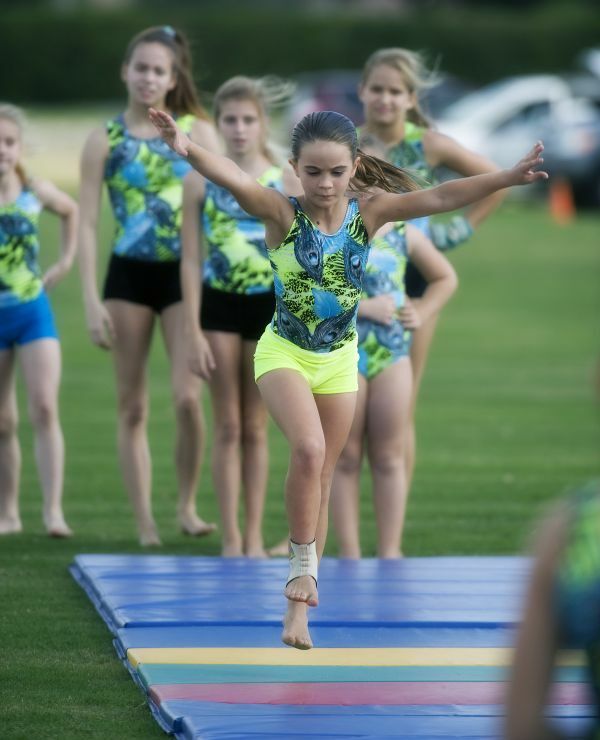 As an added treat, gymnasts from Epic Gymnastics of Palm Beach performed for the crowd after the polo competition and before the awards presentation. 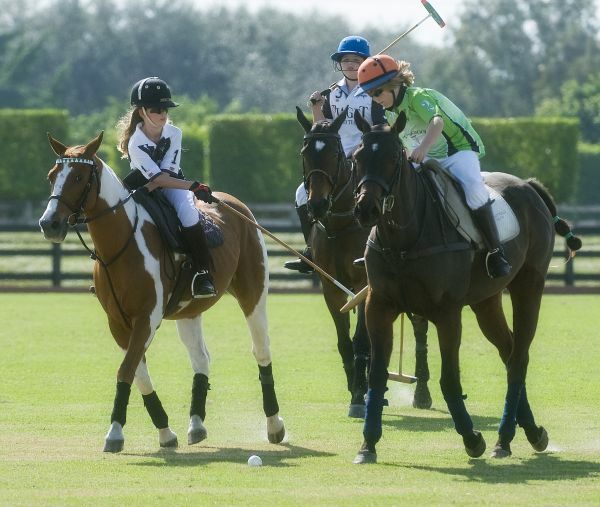 The Turkey Trot Juniors Tournament came just one month after the successful debut of the ProKidz Tournament, an inaugural event created and hosted by Grand Champions Polo Club where a pro played alongside three players on each team. 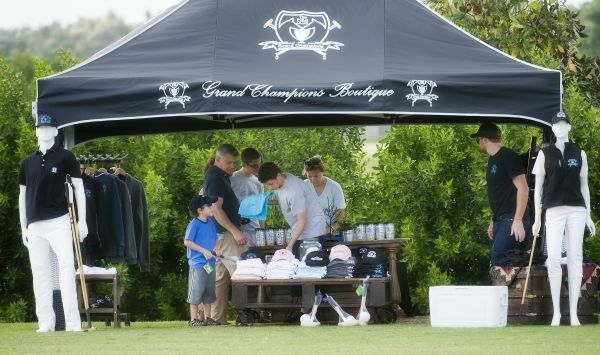 Grand Champions Polo Club, the nation’s fastest growing polo club, has played a key role in helping develop and promote youth polo year-round by sponsoring and hosting several tournaments along with the Polo Training Foundation. 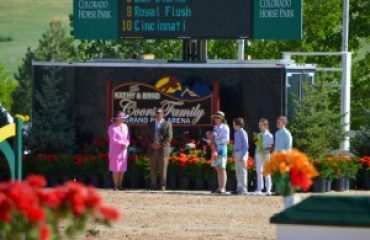 Grand Champions Polo Club owners and players Marc and Melissa Ganzi along with the PTF have been instrumental in the growth of junior and youth polo and will resume hosting more junior events in 2014 at Grand Champions. 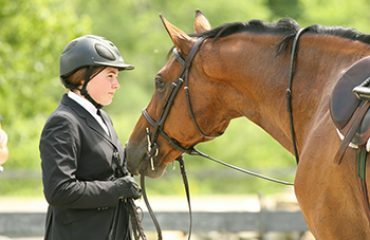 Melissa Ganzi was thrilled to see so many new faces out on Sunday. Ganzi, secretary-treasurer of the PTF, is a selfless supporter of the PTF which is orchestrating the growth and success of the juniors and youth programs across the nation.